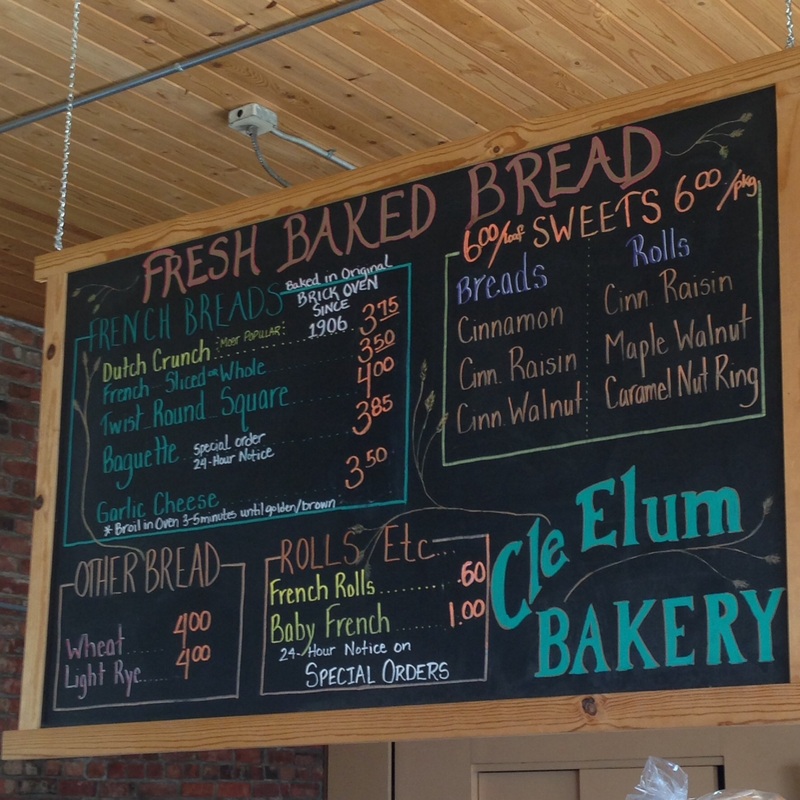 Maple bar and HOME on the RANGE at the Cle Elum Bakery in Cle Elum, Washington. 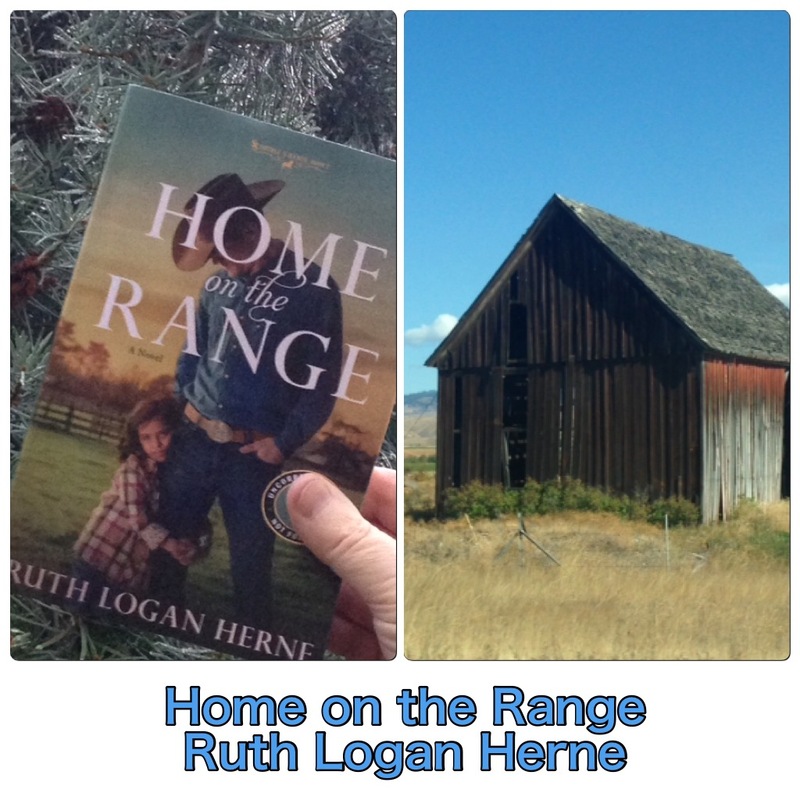 Welcome to my celebration of the release of Ruth Logan Herne’s newest….and very awesome…..book, Home on the Range. THIS JUST IN! GIVEAWAY!!!!!! Ruth Logan Herne is offering a giveaway of her book!!! So you can be contacted, leave a comment below with your email (use AT and DOT to avoid spam)–standard rules apply. US addresses only. Name will be picked from a hat….really! Must comment by noon on Wednesday, October 26 MDT. Thanks!!! 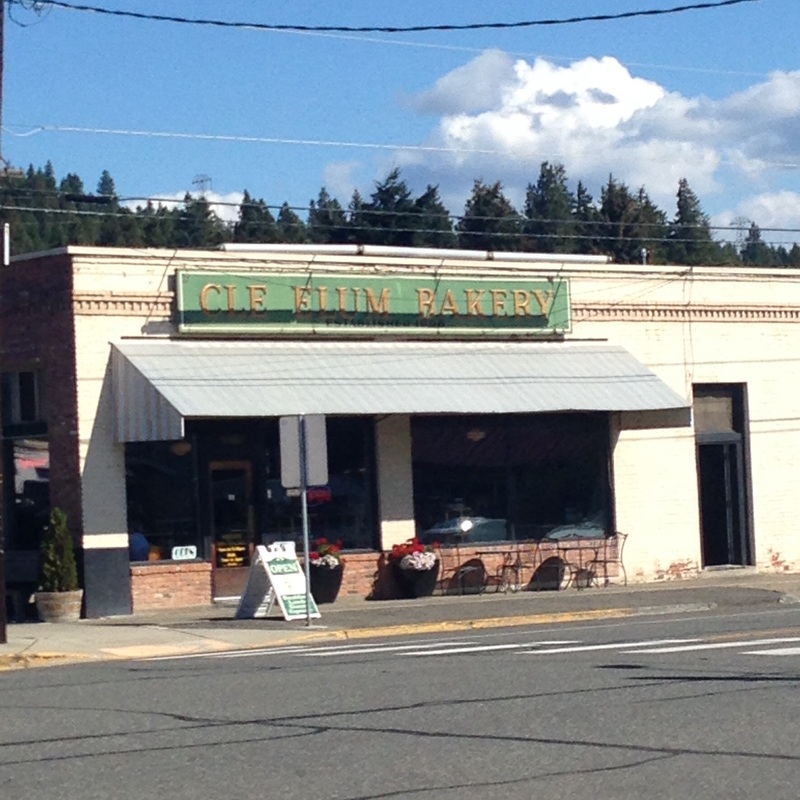 We’re meeting today at the charming bakery in Cle Elum, Washington, which serves delicious maple bars…along with many sumptuous treats. 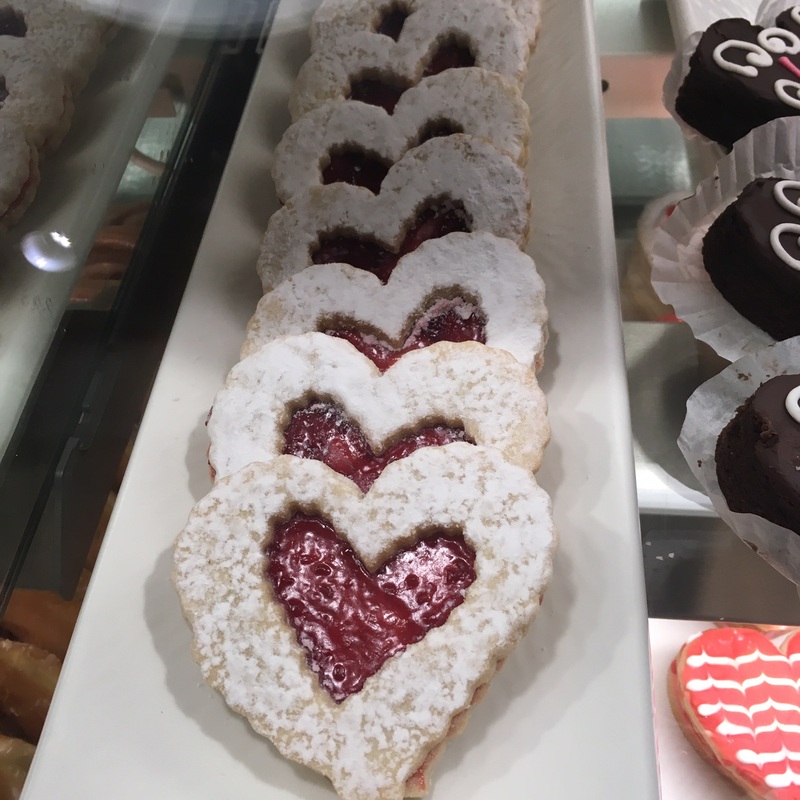 So make a selection from their bakery case….yes, I know how difficult it is to choose…then grab a mug of coffee or tea and come sit awhile as we chat about Home on the Range. Hard decisions with so many treats! A story of healing encouraged by the love and support of a strong family! My heart smiled at the precious children and adorable puppies in this story….not to mention the cowboys and beautiful scenery of central Washington. Home on the Range is the second book in the Double S Ranch series, featuring the dysfunctional Stafford family. Colt and Angelina, the characters in the first book, Back in the Saddle, were engaging, drawing me into this second book about the lives of Elsa, Nick, and his two young daughters. I was emotionally touched by the painful childhood suffering caused by self-centered adults and by Elsa’s emotional upheaval caused by self-doubt. Thankfully author Ruth Logan Herne weaves a thread of compassion and hope as the characters heal from the past with the wisdom and kindness of others. The developing romance between Elsa and Nick is so tender….with some mighty sweet kissing scenes….but faces some issues with trust and forgiveness. This is a story of flawed people who make mistakes, but are healed through love and the support of others. I loved this book! 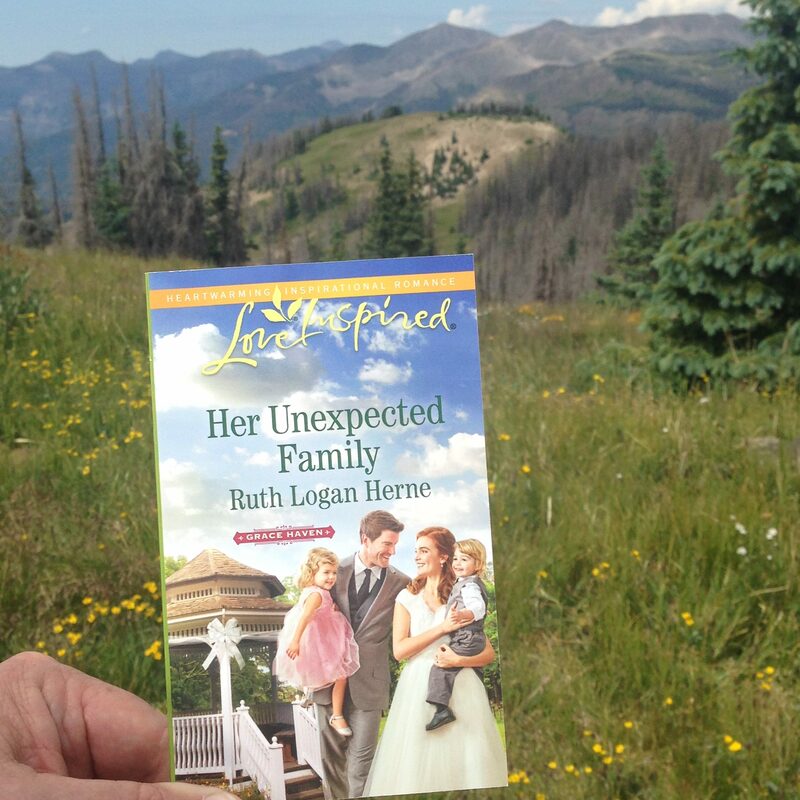 Ruth Logan Herne writes amazing books filled with the love shown in strong families, with the redemption granted by second chances, and with the grace provided by faith. If you enjoy a sweet romance and being immersed in a modern-day family story of healing and hope, I highly recommend Home on the Range. *I received a complimentary copy of this book. I’m honored to write an honest review. Author Ruth Logan Herne has more than a million books in print. Ruth is a founding member of SEEKERVILLE, a popular writing collective blog. A country girl who loves the big city, Ruth and her husband live on a farm in upstate New York. Thank you for the amazing talent You have given author Ruth Logan Herne…both her writing abilities and her spirit of service. Her heart-felt stories and compassionate actions touch so many, giving hope and comfort to hurting souls. Please continue to bless all her efforts and the work of all Christian authors as they spread the message of Your Word through their writing. 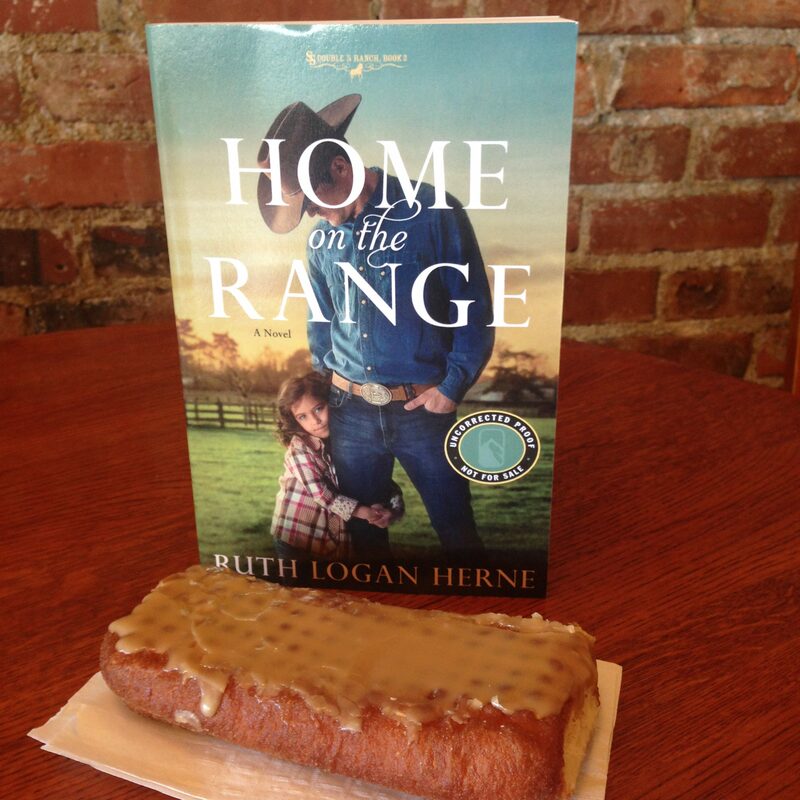 The characters in the Double S Ranch series mention enjoying maple bars from a nearby bakery. As heroine Elsa says, “Add in a trip to Cle Elum for maple bars, and I’m all in.” (page 222) Since we recently drove through beautiful central Washington to visit our grandsweeties in Seattle, we just had to make a stop at the Cle Elum Bakery where we sampled many of their baked goods. (I’m embarrassed to tell you how many we HAD to try, but I’ll just say…I’m still exercising those bites away…but SO worth every crumb.) 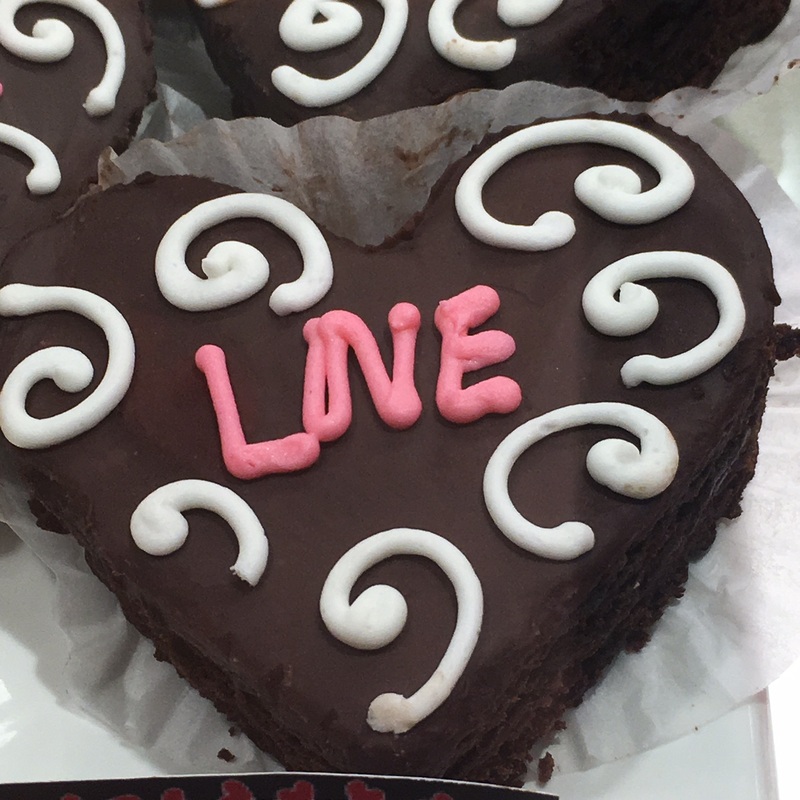 I’ll leave you with pictures of a few of the treats we sampled during our two stops….coming and going….at this charming shop, along with some of central Washington’s scenery. 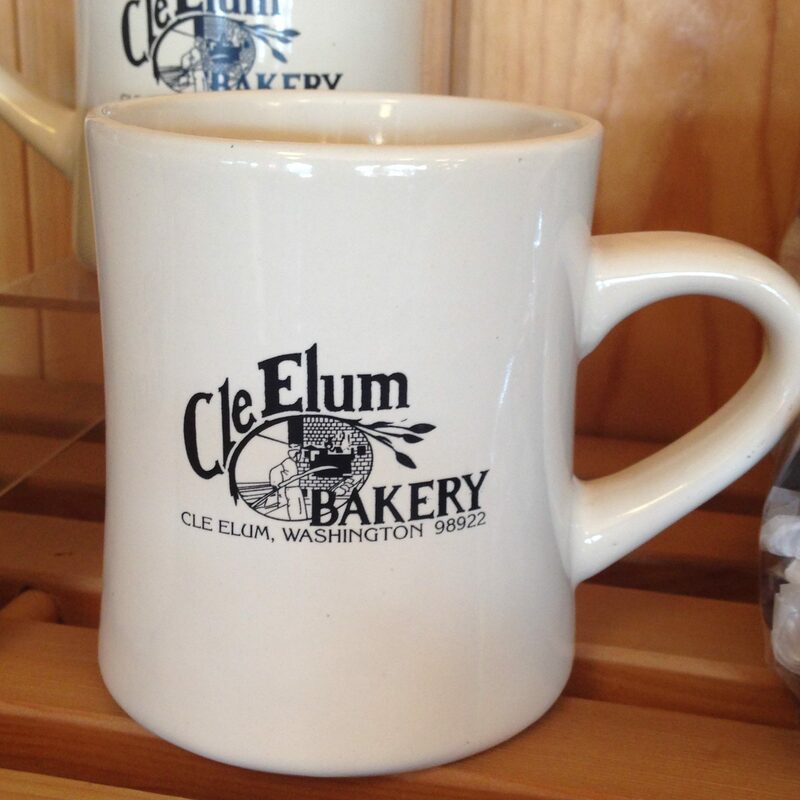 The charming Cle Elum Bakery on Main Street. 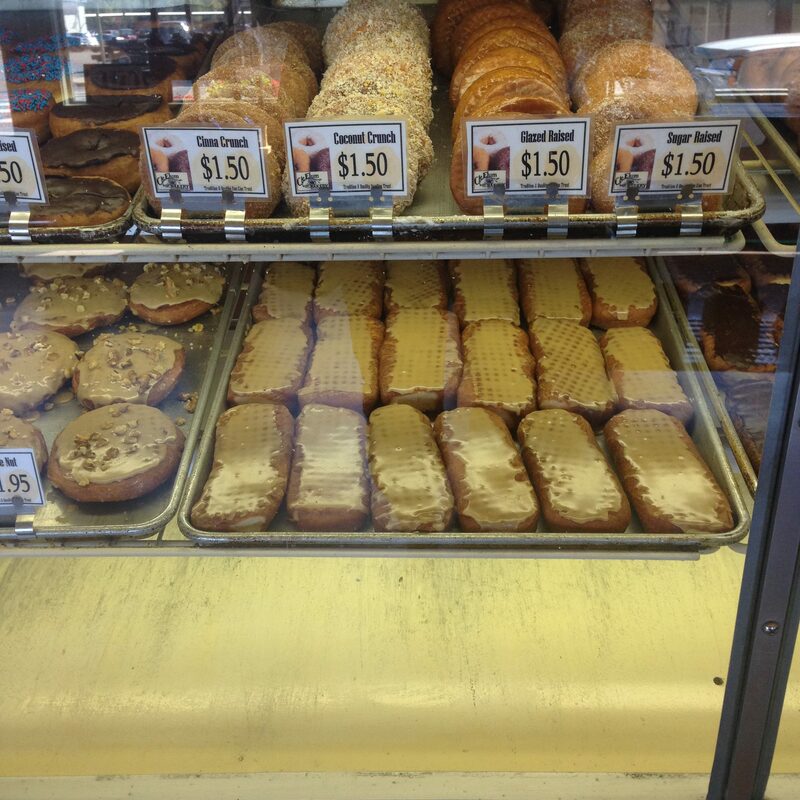 Bakery selection board. 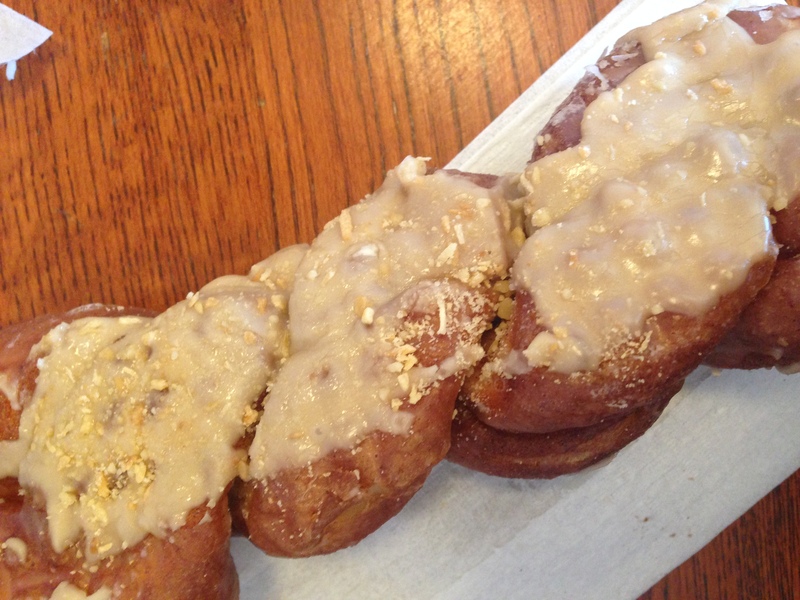 We bought Dutch Crunch bread….yum! 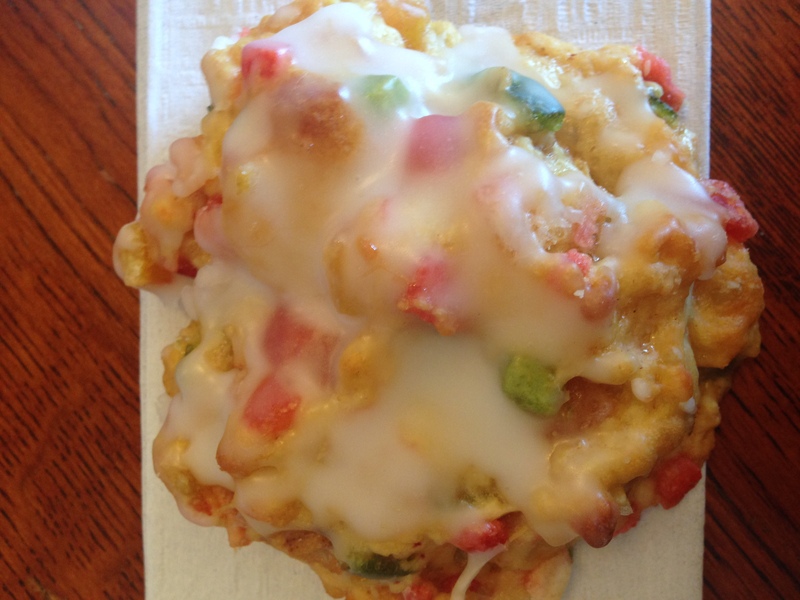 Candied fruit bakery treat….taste of Christmas! Coffee or tea for you? Fields of central Washington with mountains in the distance. Love this old barn….and this beautiful story. Thank you for joining me for #TuesdayTea! May your life be touched by God’s treasured blessing of healing! #TUESDAYTEA Review of LOVE EVERLASTING by Julie Lessman! Welcome to my release celebration for Julie Lessman’s newest contemporary romance novel, Love Everlasting! I’m delighted to have you join me for my #TuesdayTea review. Please come sit by the FIRE, with a HOT mug of STEAMING tea, as we chat about this faith-filled, SIZZLING emotional story…..accompanied with WARM, just-from-the-oven cookies. Yep, you get the idea…..this is a fiery story of finding love….and realizing the power of God. 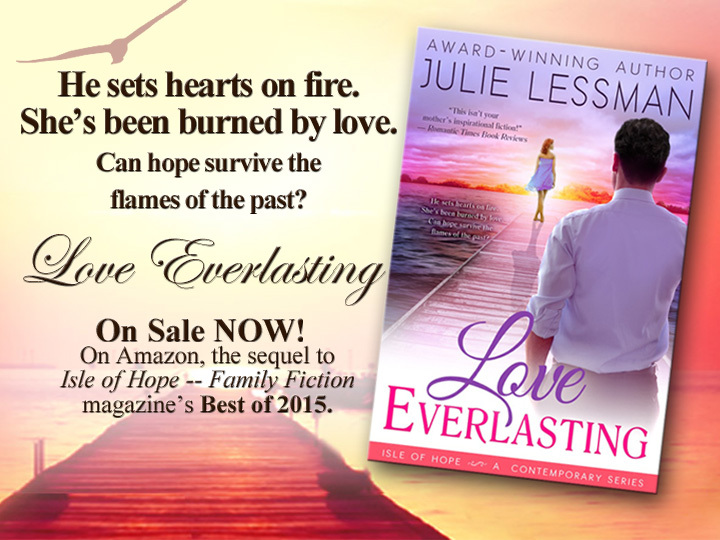 Congratulations, Julie Lessman, on the release of your powerful new book, Love Everlasting! A story filled with emotional FIREWORKS! 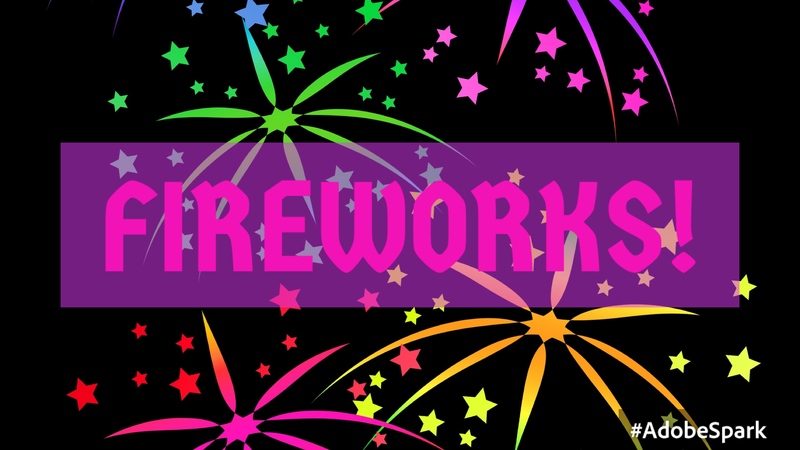 I’ve come to anticipate fireworks in author Julie Lessman’s stories. She’s known for her books of “Passion with a Purpose.” Her second book in the Isle of Hope series, Love Everlasting, does not disappoint….in the passionate and purposeful departments! The pages sizzle with intense feelings and faith-filled romance…..with the twist of a powerful emotional explosion I didn’t expect. 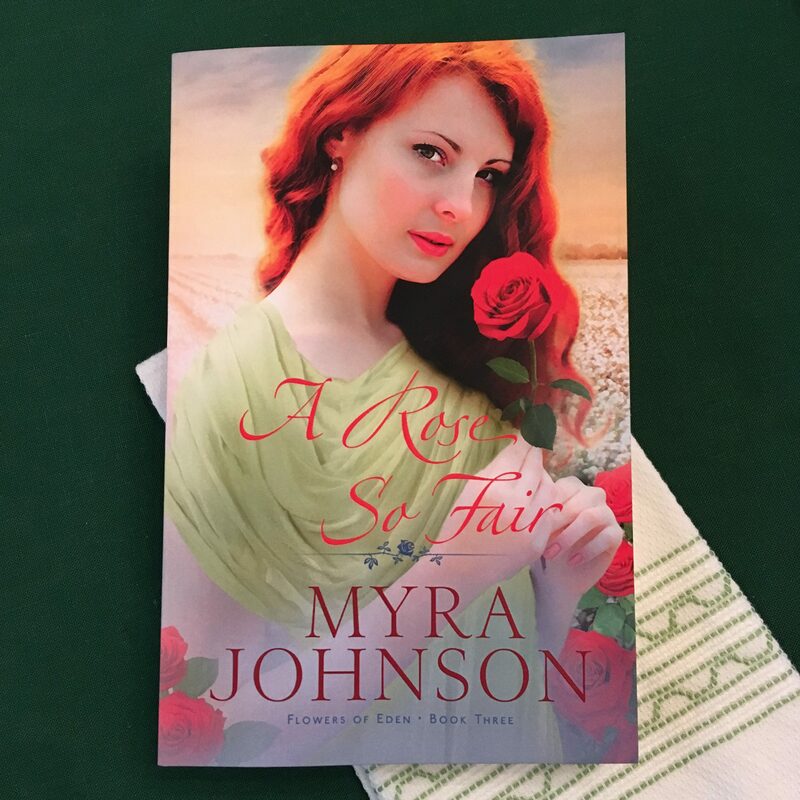 I’ve read the prequel (A Glimmer of Hope) and the award-winning first book in the Isle of Hope series (Isle of Hope: Unfailing Love), so I enjoyed reconnecting with the characters in this story. The focus in this second book is the romance between sweet Shannon O’Bryen and handsome Sam Cunningham, fittingly known as Dr. Love. Wounded by past loves, these two face barriers to finding happiness. Lessons learned about facing fears, learning to forgive, and the true meaning of everlasting love are laced throughout this beautiful story. Also, I liked the development of the romance between the mature couple, Tess O’Bryen and Ben Carmichael. Their love story is touchingly poignant with its combination of human weakness and lingering desire. 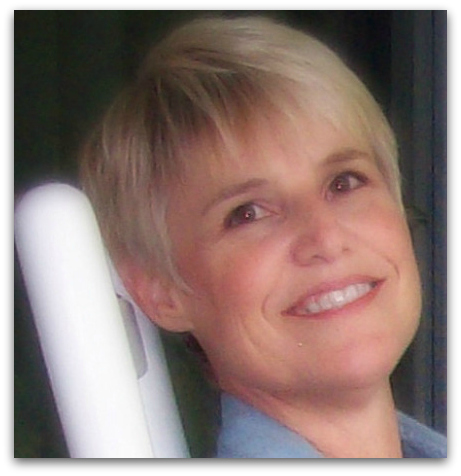 Julie Lessman’s passionate writing always touches my heart….and my soul. The intensity of emotions felt while reading her stories always lifts me to a greater place, reminding me of the true significance of faithful love. I highly recommend this passionate and faith-filled book. If you want to read an emotional book filled with hope and heart-touching love, I believe you will enjoy LOVE EVERLASTING! *I was given an e-copy of this book. 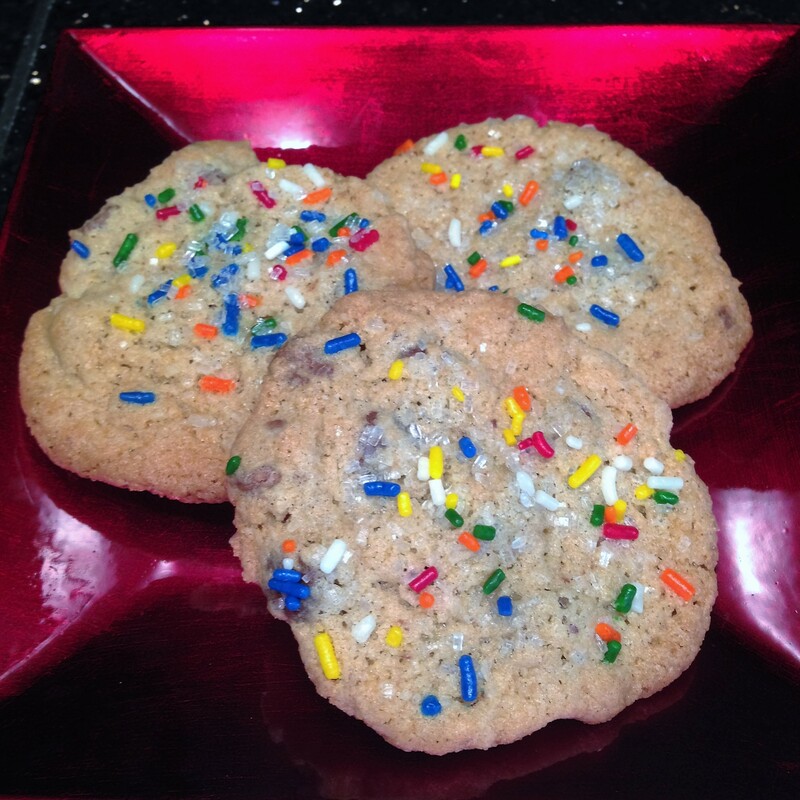 Cookies, especially Monster Cookies, are a favorite treat for many of the characters in Love Everlasting, so I’m putting out a big tray of Monster Cookies. I used the basic recipe for chocolate chip cookies, but added three kinds of chips, milk, semi-sweet and dark chips…with the addition of pecans. Next time I’ll add toffee pieces and walnuts. And since it’s a party, I didn’t forget the colorful sprinkles! Extra sprinkles for everyone! We lift up author Julie Lessman and her strong family for everlasting blessings. She walks so passionately with You…..her example and her stories inspiring others to draw close to You. Please continue to strengthen her as she writes for Your glory. THANK YOU, dear friends, for stopping by my #TuesdayTea review blog. Since my website is focused on “God’s treasured blessings,” this quote from Love Everlasting is particularly perfect: “Now your faith has been forged in fire to produce a gleaming treasure of truth.” May your life be filled with God’s treasured blessings! End of summer #amreading reviews and easy #TuesdayTea treat! 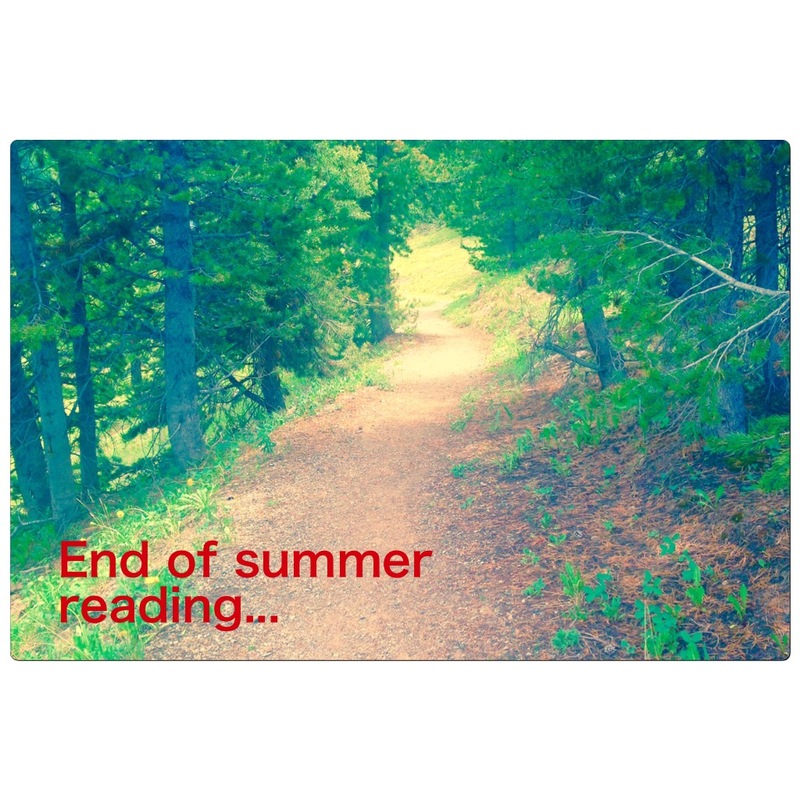 End of summer reading…cooling off from the summer heat or heading out for an adventure on the trail? What a different summer this has been for us! Hiking in the mountains is our favorite summer activity, but this year we’ve only made it out on the trail a few times. Both my husband and I had important writing projects to complete…his PhD dissertation and my 70,363-word inspirational romance novel for Harlequin’s Manuscript Matchmaker historical writing contest. Since I’ve submitted my manuscript and hubby is still working on his project, I’ve had some time to catch-up with reading, so here are some suggestions to end up your summer with some great reading. 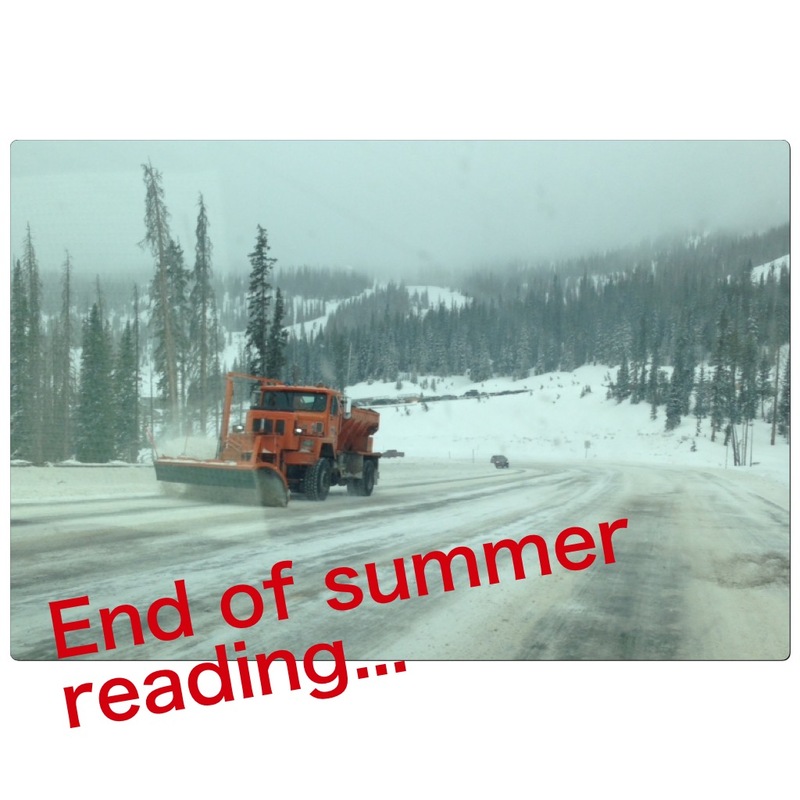 Snowplow along Wolf Creek Pass. If you’re steaming in the hot weather, and this picture cools you off, you would enjoy Ruth Logan Herne’s Her Unexpected Family. This book features Emily, a wedding planner, and Grant, a hero who works for the highway department. Since we need to drive the mountain passes often during the winter, I’m grateful for the people who keep the roads safe, even when they must work in dangerous conditions. The whirlwind of precious two-year-old twins, the peek into the fun (usually) job of wedding event planners, and the warmth of the small community of Grace Haven all mixes together for an amazing story about the grace of forgiveness…a perfect story. Emily is so likeable with her common sense approach to life and the joyous love she expresses. As a protective father, hardworking Grant struggles with the past and the future, but he is a good man, willing to see his mistakes and to work on his flaws…my kind of hero. I love this story, including the shout-out to dedicated highway department employees who work helping others during very challenging weather conditions. As a former special needs teacher, I appreciate the portrayal of Dolly and the viewpoint of parenting. From the details given about the event planning business, author Ruth Logan Herne knows about wedding planning…and I now want to do the job of organizing special memories for happy brides. If you love small town stories of hope and forgiveness, this delightful story is perfect for you. You’ll love the ending! *I was given a copy of this book with no requirement to write a review. I’m honored to share my honest opinion of this delightful story. Summer along the Continental Divide above Wolf Creek Pass…near the spot where the winter photo was taken…big difference! If you want to extend your summer by venturing out on the trail, then you will enjoy Love Will Find A Way, a novella collection by Cara Lynn James, Myra Johnson, and Sandra Leesmith. Each story features an adventure on a trail…in Connecticut, in Texas, and near the Grand Canyon. A perfect collection of three inspirational romances for summer reading! STAGING A ROMANCE, by Cara Lynn James, is such a fun romance! I enjoyed this sweet story set at Blue Lake Christian Camp in Connecticut, where home stager Jenna Carlyle and businessman Nate McKenzie met as teenagers. Now they are adults facing responsibilities and considering their future plans. They work their way through issues using prayer and consideration for each other. Jenna’s occupation as a home stager was interesting. On a personal note, I liked this story because my husband and I attended church camp in Connecticut as teenagers…and walked down by the lake. This is a fun and uplifting romance! WORTH THE RISK, by Myra Johnson, is a wonderful story of overcoming with faith! I love and sympathize with the characters in this story. Facing a new location and a new job, single mom Cara Gallagher deals with regrets and unresolved issues of resentment. Tour guide Lucas Montero is struggling with disappointments, but keeps his godly focus on serving others before himself. The secondary characters add sparkle…lively kindergartener Zoe, friendly Sandra, and kind Rosalinda. Weaving their way toward friendship and new beginnings, Cara and Lucas find their faith a strong support. I especially enjoyed the trail hike to see the pictographs and the visit to Candelaria. NEW BEGINNINGS, by Sandra Leesmith, puts you right into realistic action on the trails of Grand Canyon National Park! The author’s writing takes you on an adventure along the hiking trails of a favorite National Park. This story is filled with action and emotion as ex-police officer, Samantha Reynolds, and Flagstaff lawyer, Zach Williams, find love while helping others in a desperate situation. Great kissing scenes! *I won this book with no requirement to write a review. It is my pleasure to review this collection. Now for our tea celebration! Farmers’ markets bring such joy during the summer…supporting local farmers and finding fresh delicious product. 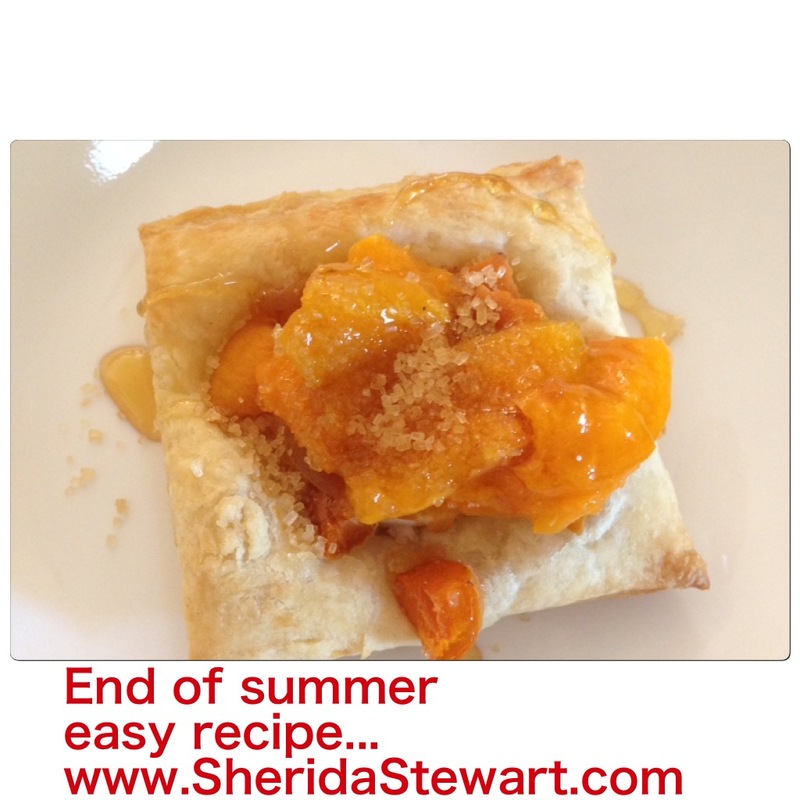 This easy recipe for Summer Fruit Tarts was created after I returned from shopping with apricots and honey. Please enjoy this summery treat with a glass of iced tea or lemonade. Preheat oven to 450 degrees or temperature indicated on the package. Cut the puff pastry sheets into squares, approximately 3″ x 3″ and place a 1/4″ thick slice of marzipan in the center of each pastry square. Bake according to the package directions, until golden brown. To serve, top a pastry/marzipan square with fruit and drizzle with honey. You could add ice cream or whipped cream. We didn’t use additional sugar because the marzipan/almond paste is sweet. BIBLE VERSE: This is the Scripture written at the beginning of Her Unexpected Family, a good verse to tuck into our hearts. Bless these Christian authors who spread your word through their writing. May they have strength to continue the writing journey. Please give them comfort in the knowledge they encourage others through their work. We pray all the people of the world come to know You and accept Christ as Savior. Please be with us all during the busy last days of summer. So, end of summer reading? Air-conditioned comfort as you read in a comfy favorite chair or out on the trail devouring a book while taking a rest break sitting on a rock? How do you relax during the last days of summer? With an awesome book, I hope! May you be blessed with God’s treasured blessings of summer–good weather, relaxation time, and fresh produce. Thank you for joining me for #TuesdayTea! What a fabulous opportunity to meet with these wonderful Christian authors! If you are near Nashville, or can visit in August, I know this will be a great time of fellowship with Christians celebrating writers and readers of inspirational books. The registration deadline of July 26 is fast approaching. (Earlier if capacity is reached.) LOOK AT ALL THESE CHRISTIAN AUTHORS–some of my very favorites! A one day gathering of Christian Fiction readers and over 30 authors will be meeting in Nashville, TN on August 24th from 9am-6pm CDT. The event’s theme is “Honoring God through Christian Fiction” and will feature speaker sessions, author panels, breakout sessions, prayer & worship and author signings as well as booth sponsors.The Christian Fiction Readers Retreat (CFRR) is an unprecedented event in the Christian Fiction genre for readers to meet authors. The event will include food, games, giveaways and free books. The event takes place on August 24 in Nashville, the day before the American Christian Fiction Writers (ACFW) Conference also in Nashville this year. Avid reader Bonnie Roof from Louisville, KY teamed up with book bloggers “Annie JC” of justcommonly.blogspot.com and “MeezCarrie” of readingismysuperpower.org to form the planning committee based on their common passion for Christian fiction and a desire for authors and readers to interact in a casual setting. Keynote speakers at the CFRR include authors Julie Lessman, Tamera Alexander, Laura Frantz, Mary Connealy, and Ruth Logan Herne. Authors currently due to appear and participate in panels and other activities are Becky Wade, Brandy Heineman, Carrie Fancett Pagels, Carrie Turansky, Caryl McAdoo, Dana R. Lynn, Dani Pettrey, Debby Giusti, Elaine Stock, Gabrielle Meyer, Genevieve Woods, Jan Drexler, Janet Dean, Jean Gordon, Jennifer Slattery, Kara Isaac, Kate Breslin, Krista Phillips, Kristi Ann Hunter, Marie Wells Coutu, Melanie Dickerson, Melony Teague, Mesu Andrews, Myra Johnson, Pepper D. Basham, Sarah Monzon, Shelley Shepard Gray, Susan Anne Mason, Susan Page Davis, and Tracey Lyons. The CFRR event will be held at the Scarritt-Bennett Center, located just north of Nashville’s trendy Hillsboro village and just south of Nashville’s booming downtown. The event will take place on August 24th, 9am-6pm CDT. The event is open to registered attendees only. Registration is currently open online at http://christianfictionreadersretreat.blogspot.com/p/fee.html for $98 until July 26th or until the venue capacity is reached. Thank you for stopping by to read about this event. I hope you will be able to attend. I’m sure you will experience God’s treasured blessings. 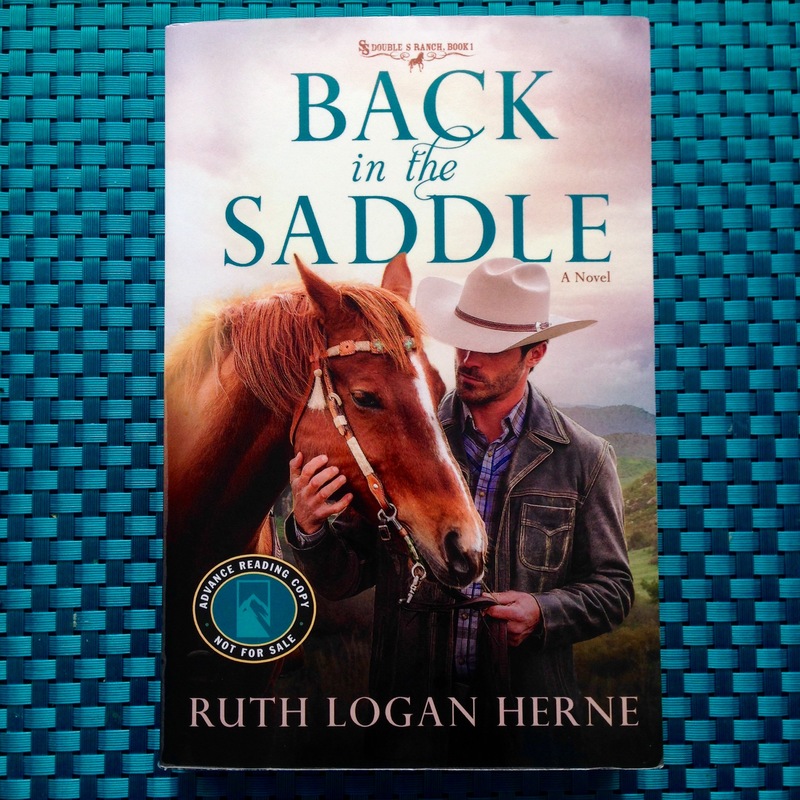 #TuesdayTea review of Back in the Saddle by Ruth Logan Herne! 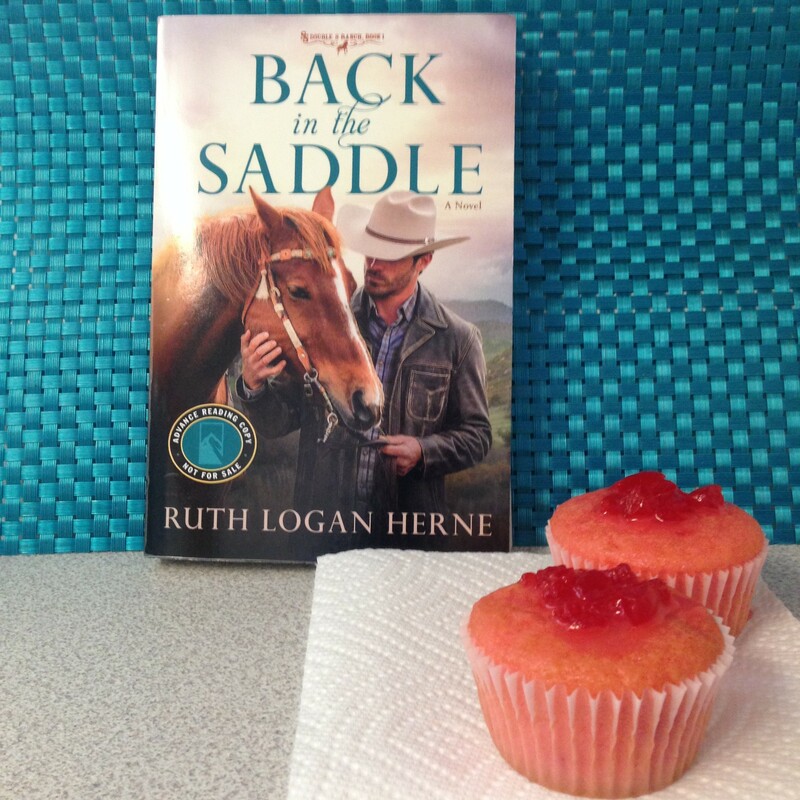 Welcome to a HAPPY BOOK BIRTHDAY celebration for Back In the Saddle, by Ruth Logan Herne!!! This is the launch day for this newest book by a favorite author, so we’re celebrating with a tea from my favorite tea shop! Ruthy’s newest book is a delight…full of handsome cowboys, strong family bonds, and sweet romance. Prepare to swoon as you take a look at this cover. And the scenery is sigh-worthy, too. 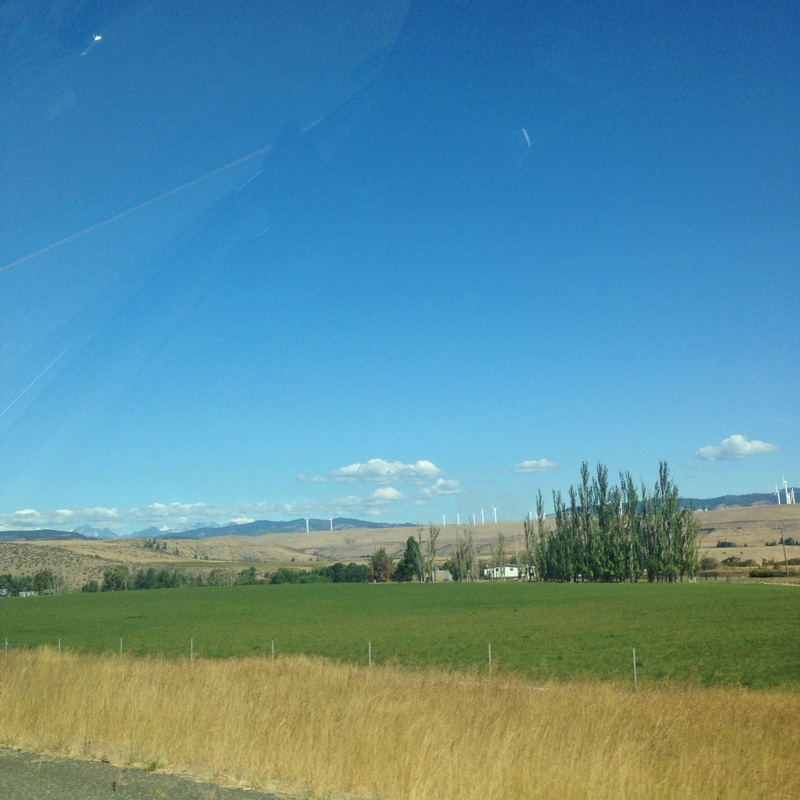 Washington is a beautiful state, especially the central valley setting of Back in the Saddle. Peaceful orchards dot the hillsides, amid ranches and small towns, with veggie farms tucked here and there. A very pleasant place to spend some time as you get to know the Stafford family of the Double S Ranch in Gray’s Glen. THE PRODIGAL is COMING HOME…..
It’s been a long time since Colt Stafford shrugged off his cowboy legacy for shiny Manhattan loafers and a promising career on Wall Street. But when stock market manipulations leave him financially strapped, the oldest son of legendary rancher Sam Stafford decides to return to the sprawling Double S ranch in Gray’s Glen, Washington. He’s broke, but not broken, and it’s time to get his legs back under him by climbing into the saddle again. He doesn’t expect to come home to a stranger pointing a loaded gun at this chest–a tough yet beautiful woman Sam has hired as the house manager. Colt senses there’s more to Angelina Morales than meets the eye, and he’s determined to find out what she’s hiding…and why. Colt’s return brings new challenges. Younger brother Nick, who’s long been Sam’s right-hand man, isn’t thrilled when Colt inserts himself into Double S affairs. And the ranch’s contentious relationship with the town’s people forces all the Stafford men to reconsider what it truly means to be a neighbor. As Wall Street recovers, will Colt succumb to the call of the financial district–or stay in the saddle for good? MY REVIEW: as posted on Goodreads and Amazon. I loved every page of this book! Filled with humor, warm characters, and western wisdom, Back in the Saddle is an uplifting story of strong family bonds and of a couple discovering their relationship within a legacy of hard work and commitment. Reading Back in the Saddle takes you out West…the West of today, with life around a modern ranch, with small town interactions and community problems, and with real-life cowboys who are dedicated and ruggedly handsome. This is a story about family…..the hurts, the mistakes, the understanding, and the love that weave through the bonds of family. Sam Stafford, the strong-willed patriarch of his family of three sons, is the owner of the Double S Ranch, located in the beautiful central valley area of Washington State. Oldest son, Colt, has returned home after his high-powered New York City financial career faced a major setback. Colt finds a perplexing and outspoken woman, Angelina Morales, running the ranch house and caring for his ailing father. I loved every page of this book as Colt and Angelina strive to do the right thing for those they care for and as they struggle with their deepening attraction. Forgiveness and faith play a vital role in their decisions, as this prodigal son returns home and finds the place for his heart. Written with just the right pace, from a heart-stopping “click” at the beginning, with continually escalating tension, then building to plenty of excitement towards the end, and finally a tear-inducing last scene…..I truly enjoyed every moment of Back in the Saddle. *I received an Advance Reading Copy of this book. It is a pleasure to post my honest review. Click here for an Amazon link to Back In The Saddle. Now for a special treat. In Back in the Saddle, Angelina is the house manager, cooking for the family and ranch hands. One of the delights she serves is her own special Cherry Cake. Ruthy puts this recipe in the back of the book and also gave it out during post at the Yankee-Bell Café. She said I may share it with you, my #TuesdayTea readers. 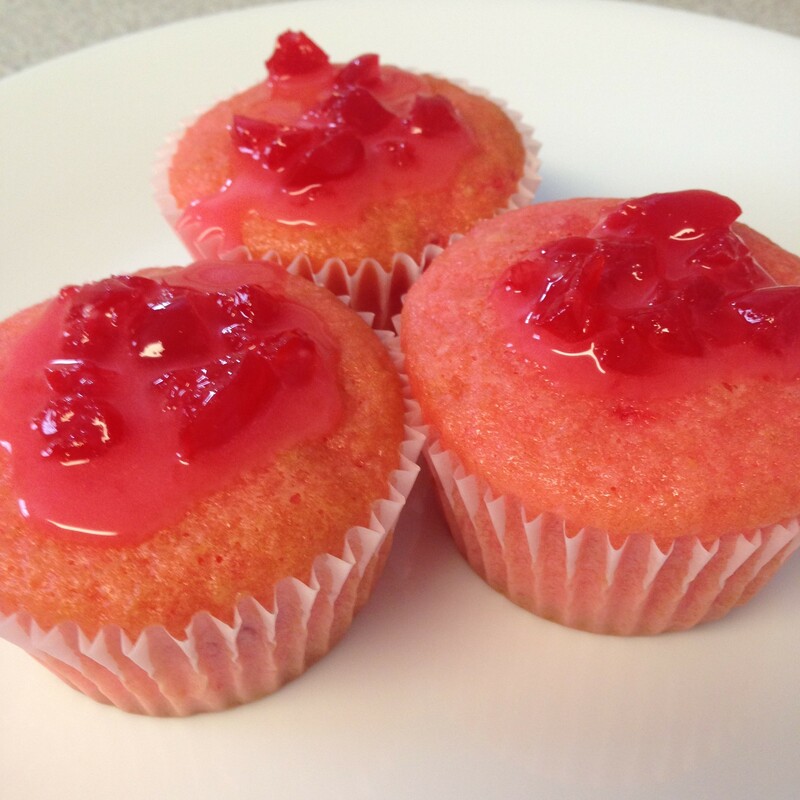 Click here for Angelina’s Cherry Cake recipe! 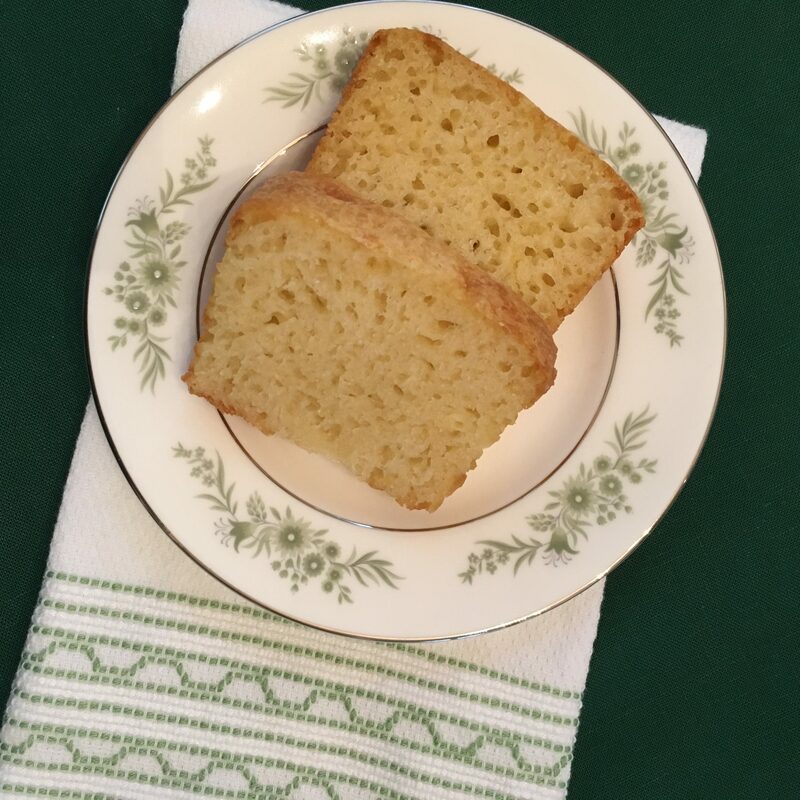 Rather than the layer cake topped with whipped cream frosting Angelina uses, I decided to bake the recipe as cupcakes, with a simple sweet glaze, for our #TuesdayTea treat. I hope you enjoy! Angelina’s mother, Isabo, previously lived in Seattle. I’m sure she enjoyed afternoon tea at the very popular Seattle tea shop, Queen Mary Tea Room. My daughter-in-law introduced me to this charming shop. If you are celebrating an event (birthday, contest entry, book published, job promotion, anything), you’re given a glittering tiara to wear while having tea. And you know how much I like my sparkles! The afternoon tea is amazing…..simply perfect! 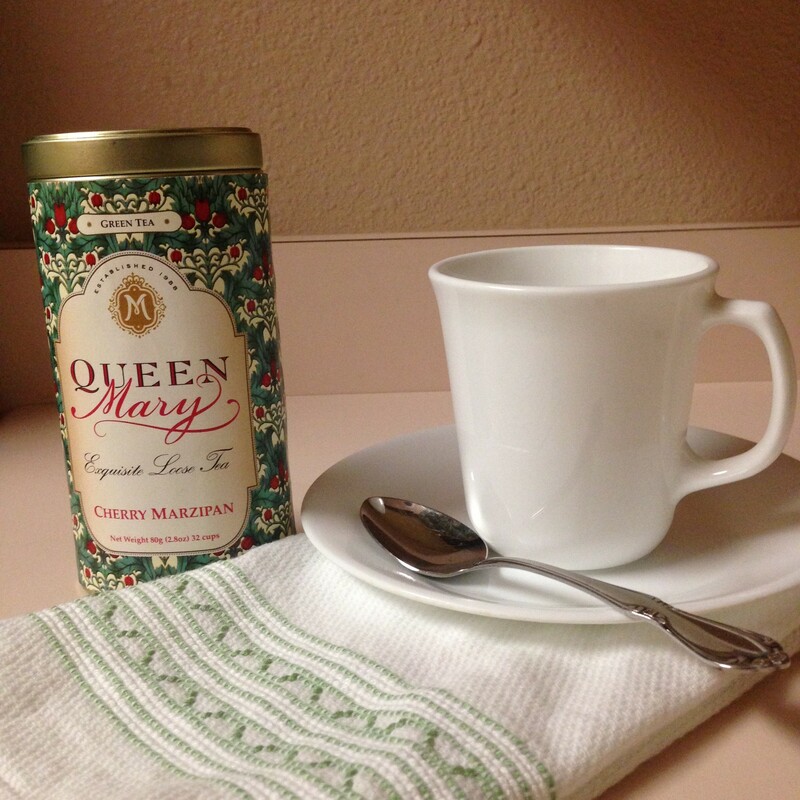 Click here to visit the Queen Mary Tea Room. 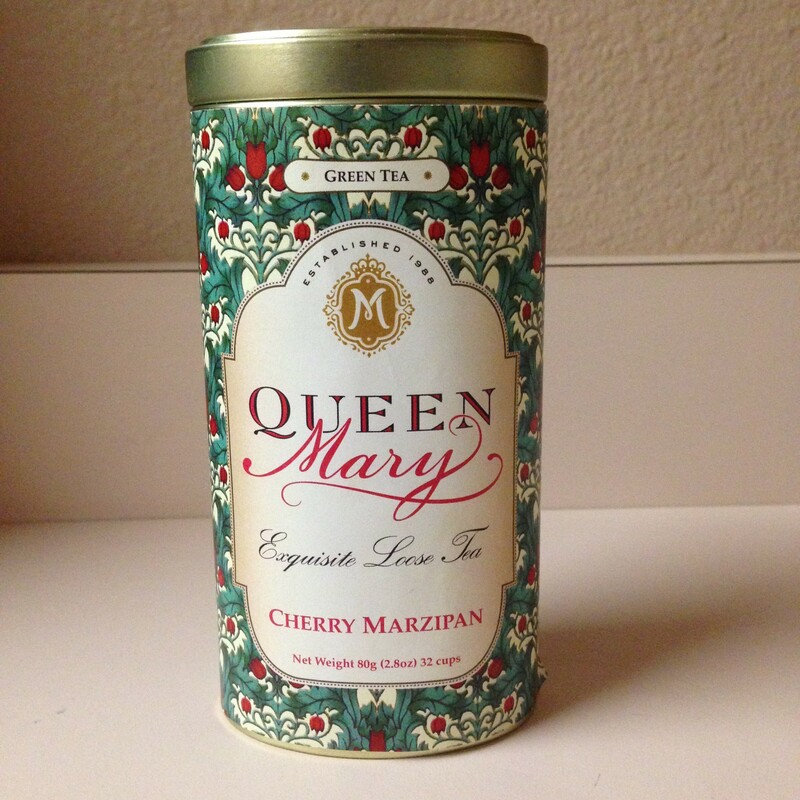 For our tea today, I’m serving their Cherry Marzipan green tea….perfect with the cherry cupcakes, don’t you think? You know Ruthy so well and have blessed her with gifts beyond measure. Please continue to place the perfect words on her heart to reach others with Your Word as she writes of forgiveness and redemption. Thank you for giving her the spirit to inspire and encourage others….in so many ways. We ask for her continuing success as an author and as a generous faith-filled servant. Please bless all Christian writers as they spread the hopeful message of Your Word. SOME EXCITING NEWS: There will be two more Double S Ranch books featuring the other brothers. The next will be middle son Nick’s story and the last will be about Trey, the youngest, a country and western music star. Fun to anticipate! I hope you’ll enjoy getting to know the Stafford family and the Gray’s Glen area of Washington as much as I did. Thank you for joining me for #TuesdayTea. May you be blessed with an abundance of God’s treasured blessings! Welcome to Tuesday Tea! Please join me for some Cinnamon Cake served with spiced cider as we chat about an amazing book, Refuge of the Heart, by Ruth Logan Herne. I was honored and blessed to read this book before its official release. THIS IS A STUNNING BOOK! Isn’t the cover simply BEAUTIFUL?! And as much as the cover glows, the story inside is even more illuminating. Ruth Logan Herne’s writing touches my heart with compassion for Magdalena Serida, a struggling refugee from the war in Chechnya. Mitchell Sanderson is a District Attorney with his own sorrows to overcome, as he tries to live his Christian faith. The story is compelling, the characters engaging, and the message of faith brilliantly composed. I highly recommend this book …….which may change your heart in the same way my heart was touched……to have the courage to live my faith in a more complete way. I pray you will be blessed by this book as I have been. Maybe God had put her in this place, with this church, to let her light shine unto the heavens. District Attorney Mitchell Sanderson wanted for nothing and lost everything in a tragic accident. a dogged worker, Mitch’s conviction rate earned him respect and trust. Now up for reelection, Mitch’s law-and-order persona makes him a shoo-in candidate. But when faith, conscience, and love of a troubled refugee ripple the smooth waters of his existence, can Mitch risk everything for love? Magdalena Serida fought her way out of the terrors of a government-quelled insurgent uprising in Chechnya . The church-sponsored refugee knows the horrors of war firsthand. Now in America with her five-year-old sister, Lena is uncertain who to trust. Her Christian faith has maintained her through the loss of her family, but when Mitch Sanderson shows interest, Lena longs to take a chance. Should she open herself up to this man of law and order, a man who imprisons women like her? Or slip quietly back into the shadowed fringe of anonymity? But choices slip away when Mitch’s friend spews half-truths about Lena, rumors that cost Mitch his new love and possibly the election. Can he find his way to a faith deep enough to love again, and to offer Lena the refuge of his heart? My heart was so affected by Refuge of the Heart, a story filled with hope, forgiveness, and sweet romance. I loved Lena Serida from the moment she struggled with a grocery cart in a snowy parking lot. She shines as a bright light living her Christian faith to such an amazing level. Mitch Sanderson, as a tender, yet strong, trying-to-be-good man, is struggling with complex issues. His personality glows as he realizes his weaknesses and strives to become a better man. I raced to the end of this book, cheering for Mitch and Lena, as they faced many challenges they needed to overcome. In addition, there are so many wonderful characters, but Anna, Lena’s five-year-old sister, is a complete delight of positive joy….I just wanted to hug her…..and make cookies with her. Anna convicted me with the realization I can do more for children’s safety and comfort where I live. Refuge of the Heart is a profound and thoughtful book on many levels, changing the way I look at the world and at how I live my faith. Filled with so many perfect moments of enlightenment, for both the characters and me, I highly recommend this book to all, but especially those who desire a story of amazing faith. Thank you, Ruth Logan Herne, for writing such a heart-touching book! * I won this book, but was under no obligation to write a review. It is my honor to express my honest opinion about this book. ABOUT THE AUTHOR, RUTH LOGAN HERNE: Born into poverty, Ruth Logan Herne is the mother of six and grandmother to thirteen. She and her husband, Dave, live on a small farm in upstate New York. 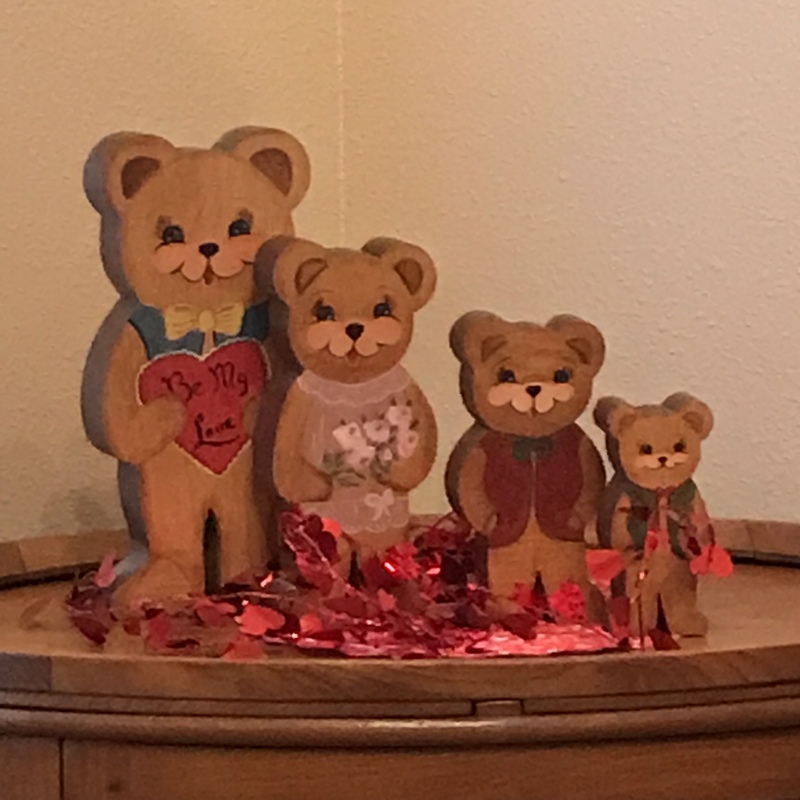 She works full time but carves a few hours each day to write the kind of stories she likes to read, filled with poignancy, warmth, and delightful characters. She is a 2011 award winner from the American Christian Fiction Writers (ACFW). Ruthy can be found on her website www.RuthLoganHerne.com, chatting and giving wise advice in Seekerville, or cooking up goodies at the Yankee Belle Cafe. Sister Mariel is remembered in Ruth Logan Herne’s dedication of this book as a very special teacher. 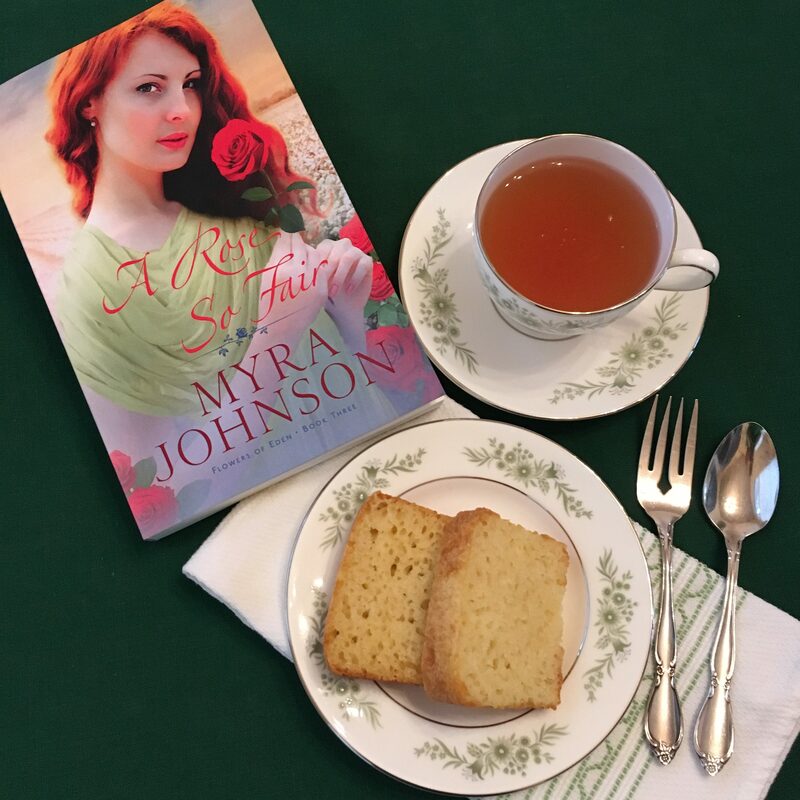 In the story, Sister Mariel bakes a delicious cinnamon cake for Mitch and Lena, so this seems to be the perfect treat to offer with the review of Refuge of the Heart. 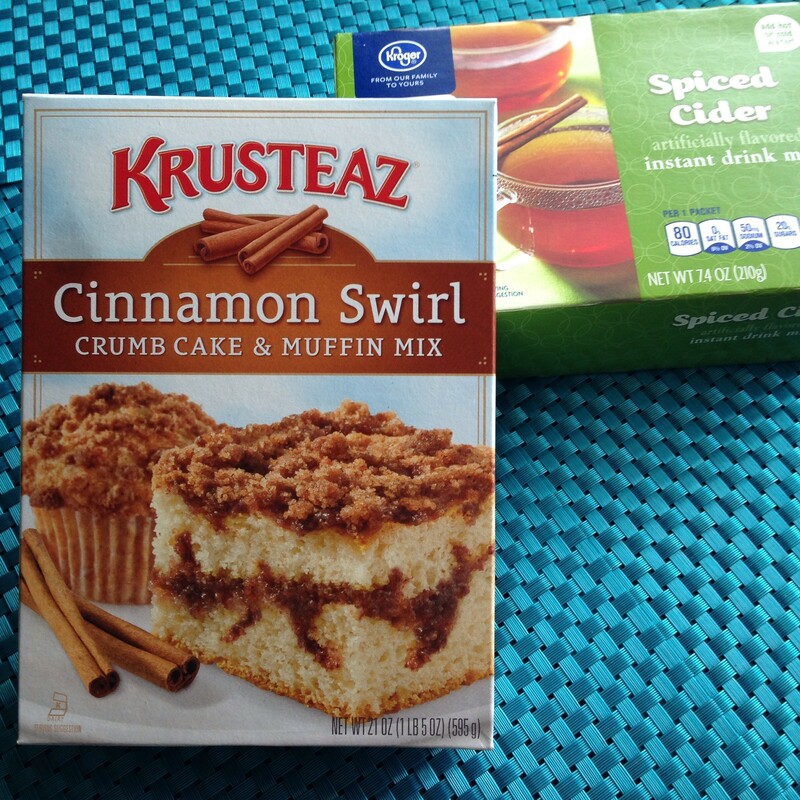 The characters enjoy the cake with coffee, but Mitch’s cider or a cup of tea would also go well with this snack. Then I also have a second version to present….a yummy sounding recipe for Cinnamon-Laced Coffee Cake from Allrecipes.com. Combine the following ingredients in a saucepan. Strain out the spices, then pour into 4 mugs. Float a small pat of butter (Yes, real BUTTER!) on each serving. Thank you for joining me for Tuesday Tea. 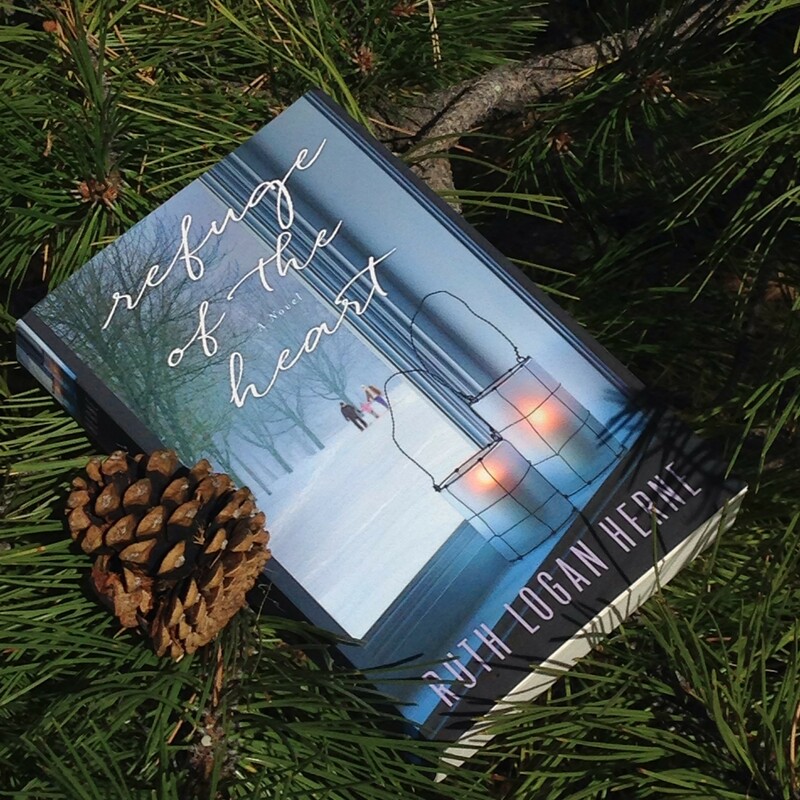 I hope you enjoyed my thoughts about this amazing story, Refuge of the Heart. Please help yourself to a slice of cinnamon cake and a cup of cider (tea or coffee, if you prefer) and share your thoughts about this book and it’s BEAUTIFUL cover in the comments. May each of your days be filled with God’s treasured blessings! #TUESDAYTEA with CROSSROADS author Cathy Bryant–devotional message and giveaway! I’m delighted to welcome contemporary Christian romance author Cathy Bryant to our tea time today. Cathy has written a devotional message titled “Does God Really Exist?” to help us be ready to share God’s message with unbelievers and answer their hard questions. She also has some details about her newest book, CROSSROADS, her upcoming Facebook party, and a recipe for crab dip. Please see the link below to RSVP for the Facebook party and join in the fun. 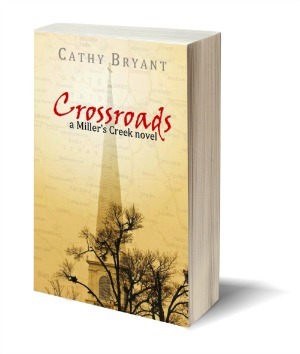 Cathy is also offering an ebook copy of CROSSROADS. Please see the Rafflecopter entry form below. Every one of the Miller’s Creek novels (Christian romance and romantic suspense) took root in my head because of a spiritual theme. The latest book CROSSROADS took on even more importance because of its theme of winning back those who have defected from the faith. During the course of the story, I tried to examine their objections to the faith as well as the tough questions we’re often asked by unbelievers. This devotional guest post attempts to answer one of the most frequent questions: Does God really exist? Not at all for the sake of argument, I hope instead that my research on this topic provides each of us with answers we need to “…make a defense to everyone who asks you to give an account for the hope that is in you, yet with gentleness and reverence.” (1 Peter 3:15). Within each of us is a universal moral code that exists despite differences in culture, socioeconomic status, and upbringing. Think about it for a second. Every person, regardless of whether they are ‘good’ or ‘bad’ or where or how they grew up, have a sense of right and wrong behavior. Though we don’t always live by this unwritten code of ethics, we can attest to it. We all have a sense of fairness or justice that’s somehow embedded deep within us. So where does this ethical or moral code come from? Does it originate with man? Hardly. The very fact that men are incapable of keeping this code proves that it originates outside of us. Therefore it can only be assumed that Someone or Something bigger than us created the code or at least created us with the code buried deep within the fiber of our being. To me, this is evidence exhibit number one in the case for God’s existence and superiority to mankind. Another proof lies in Creation itself. And no surprise, but this very point is illustrated and confirmed in God’s Word. Notice that the heavens are continuing to express God’s glory and His role as Creator. And across the globe and around the planet, all men have seen it. This leaves us all without excuse. There will be those who take the position of the big bang theory and evolution as a way of denying God. My answer to either of those theories is that it takes a lot more faith to believe either one than it does to believe in the existence of God. In addition, if they’re right and I’m wrong, then I’m no worse off. However, if I’m right and they’re wrong, for them it means a life of eternal separation from the presence and power of God. And as stated above, our evidence for God’s existence is two-fold: the moral code within each man and the glory of God’s created universe. May we equip ourselves with this Truth so we might better answer those who have tough questions. Thank you, Cathy, for sharing your thoughts with us! CROSSROADS Facebook Launch Party & Kindle Fire HD6 Giveaway! For our tea treat, I’m serving a recipe Cathy shares with us…..Carter’s Crab Dip, which was inspired by the brawny soldier-turned-policeman and hero of CROSSROADS. He uncovers the heroine’s penchant for seafood and creates this special seafood dip for a picnic lunch the two share. 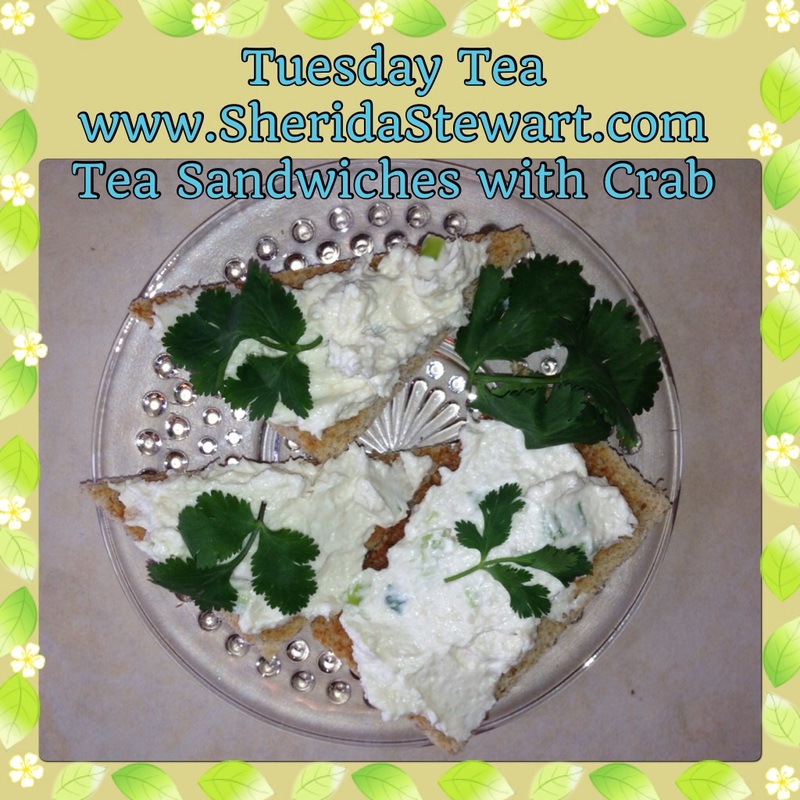 Please have a cup of lemon tea, which goes wonderfully well with the crab tea sandwiches. Crab dip served on toast triangles. 1. Blend the first seven ingredients together well, and spread on a serving dish. I hope you enjoyed #TUESDAYTEA with Cathy Bryant! Please join in the fun of her CROSSROADS Facebook party on April 30. I’m delighted to welcome you to Amber Stokes’ Forget Me Not blog tour. Please enjoy a “hot cup of tea and some sugary cakes to munch on” while we chat about Forget Me Not. Please be sure to enter the giveaway described below. In Forget Me Not, which is the prequel to Amber’s debut novel, Bleeding Hearts, David saves Elizabeth from a rushing Colorado creek and helps her travel to Nevada to find her brother. Their journey is a realistic tale of trials encountered along the way. Arriving in Virginia City, she learns about her brother and this leads to involvements which test the love developing between David and Elizabeth. 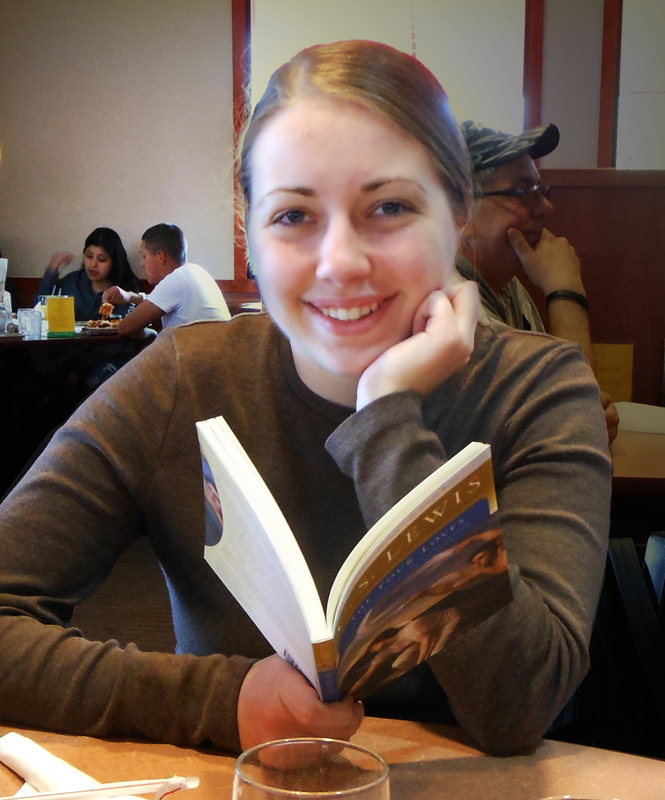 Amber writes intriguing stories which have the feel of western sagas. Recurring characters add to the delightful epic quality of her stories. There will be a third book in “The Heart’s Spring” series, Morning Glory, which will feature the much-loved Myghal. 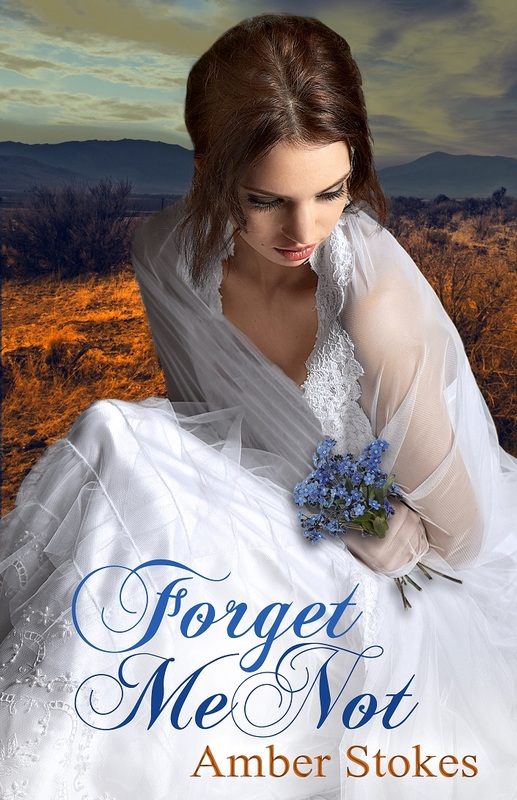 If you like Christian western romance with engaging characters struggling with realistic emotional issues, you will want to read Forget Me Not by Amber Stokes. I suggest reading Forget Me Not before Bleeding Hearts, but each book does provide a satisfying story and conclusion. I’m really looking forward to Amber’s next tale about Myghal, a Cornish miner. Amber creates characters who come alive in your heart. 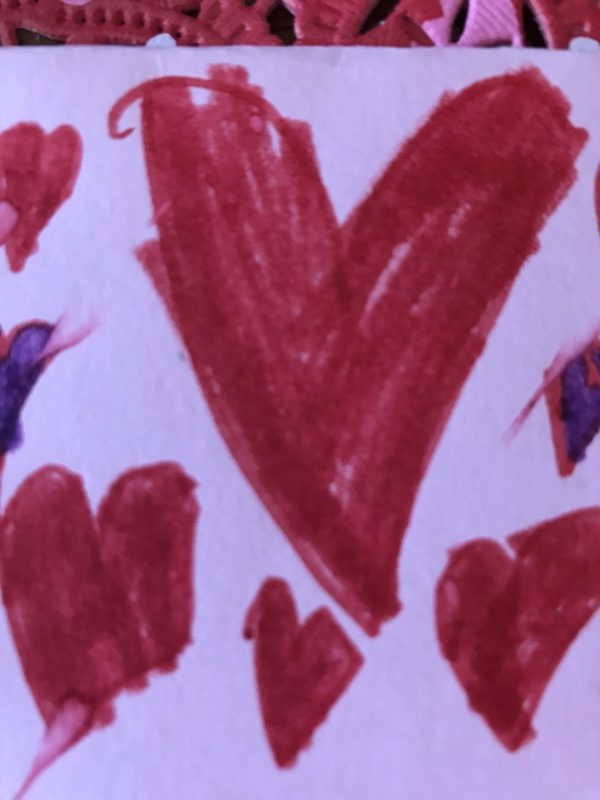 Please be sure to check “The Heart’s Spring” website (http://theheartsspringseries.blogspot.com/) because Amber is offering a free short story, Bellflower, with details on that site! Amber Stokes has a Bachelor of Science degree in English and a passion for the written word – from blogging to writing poetry, short stories, and novels. After her brief time at college in Oregon, she is now back home among the redwoods of Northern California, living life one day at a time and pursuing her passion via freelance editing and self-publishing. An “Unforgettable Journey” Giveaway! Enter for the chance to win an epic entertainment package that includes a signed paperback copy of Forget Me Not, The Journey of Natty Gann on DVD, and “Barton Hollow” by The Civil Wars on CD. The giveaway is open to U.S. residents only. Thank you for joining us on the blog tour. You may want to check the other stops on the tour http://seasonsofhumility.blogspot.com/p/forget-me-not-blog-tour.html for interviews with Amber and more insights into the book. We appreciate your thoughts! Please leave a comment! No computers were harmed in the 2.613 seconds it took to produce this page.